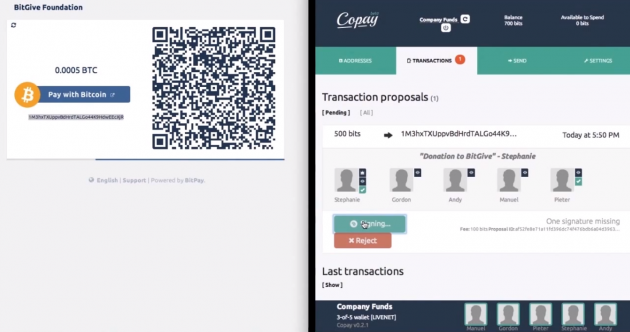 Bitcoin payments processor BitPay has released the beta version of an open-source, multi-signature wallet service called Copay. Copay aims to provide a solution to a central security issue posed by the use of a private key – that bitcoins can become compromised and stolen if someone fraudulently gains access to it. The issue has brought a lot of attention to multisig technology, with several notable companies in the ecosystem developing and releasing multisig wallets in recent months. 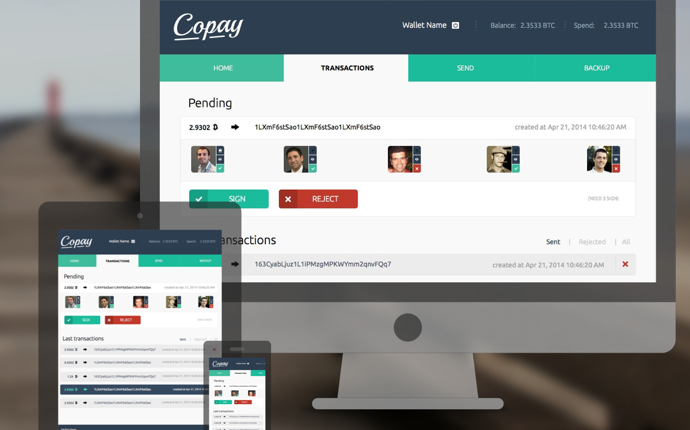 Copay establishes peer-to-peer connections with wallet users. To use the wallet, each user must create his or her own master key and share the public portion with other copayers. The wallet allows up to 12 copayers and four required signatures. When a user wants to spend bitcoins from a shared wallet, the other copayers receive an alert prompting them to confirm or reject the transaction. Once the minimum number of participants – determined by the wallet’s creator – verifies the spending activity, the transaction is completed and broadcasted to the bitcoin network. 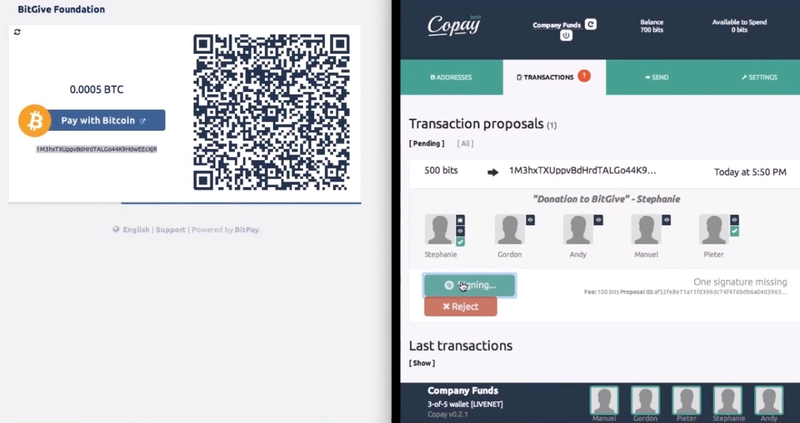 Previously dubbed Cosign, Copay uses Insight, an open source block chain explorer and API, and is built on top of Bitcore, BitPay’s native interface to the Bitcoin protocol. CoPay is currently in beta and available on Github. BitPay indicated on its blog that it welcomes beta testers, but cautioned that the project remains under development. BitGo, Xapo and BitWasp, among others, have begun implementing multisig technology into their services in recent months, resulting in new funding and product launches. BitGo received $12m during an investor funding round in June , while last week, the Boost VC-backed BlockCypher released a free API that allows developers to incorporate the security feature to their own apps. Demand for multisig wallets is increasing considerably as block chain technology develops, consumer education becomes more widespread and questions of secure storage become more pertinent. The need for such technology has long been argued by prominent members of the bitcoin community.